Chicago, US – At the 97th annual meeting of the Radiological Society of North America (RSNA) in Chicago, Royal Philips Electronics (NYSE: PHG, AEX: PHI) is demonstrating how the company’s unique approach to radiology, Imaging 2.0, has turned insight into innovation to deliver greater collaboration and integration, increased patient focus and improved economic value. This year at RSNA, Philips is showcasing 15 recently introduced products that reflect the principles of Imaging 2.0, as they offer smart, patient adaptive systems for optimal patient comfort and safety, new ways to integrate information, and superior value through expanded service lines and easier upgrades. Philips will also demonstrate multiple clinical breakthroughs validated by top clinicians worldwide. Additionally, Philips is hosting an exclusive innovation showcase, allowing customers to view and collaborate together in a shared vision of the future of imaging. One innovation on display is the first commercially available whole body positron emission tomography/magnetic resonance (PET/MR) system, the Philips Ingenuity PET/MR with Time-of-Flight, which has recently obtained FDA clearance and is now available in the U.S. Philips PET/MR sits at the intersection of what is technically possible and what is clinically valuable, by combining the highest fidelity MR and PET platforms and putting them together in a way that they can remain leading-edge. Radiology, the branch of medicine that involves the visualization of the interior of the body using medical imaging technologies, represented 59 percent of the total global EUR 16 billion imaging market in 2010. 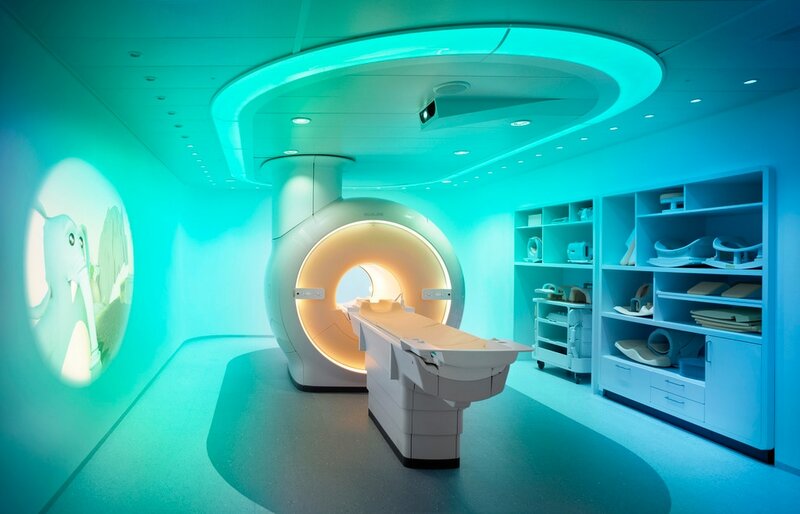 Philips has recently accelerated its strategy to invest and innovate in order to drive the company’s efforts to attain co-leadership in Imaging Systems and achieve its 2013 mid-term financial targets. A pillar of Imaging 2.0 is a commitment to patient comfort and safety. Philips’ DoseWise philosophy, the company’s vision of safety for more than a decade, is active for every modality at every level of new product design and development. DoseWise ensures continuous search for ideas in dose management technology that are a giant leap forward. Examples include Philips MicroDose, a full field digital mammography (FFDM) solution that allows clinics to reduce radiation dose by up to 50 percent compared to other FFDM systems. The most successful upgrade in Philips history is iDose4, an iterative reconstruction technique in computed tomography (CT). In addition, Philips DoseAware, is the first ever personal dose measuring system that measures and displays clinicians’ radiation exposure in real time. Delivering on its commitment to provide global access to advanced imaging solutions, Philips is also showcasing several new additions to its product portfolio that have been designed to deliver the right solution at the right price point, catering to a diverse, global customer base. Highlights include the Philips TruFlight Select PET/CT, the first PET/CT system to incorporate the premium time-of-flight (TOF) technology at an equivalent price point to non-TOF systems; and the Philips MX16EVO CT system, which delivers fast, high-resolution scanning while incorporating advanced dose management technologies. Since the introduction of Imaging 2.0 at RSNA 2010, Philips has made 33 new products commercially available, each mapping to the pillars of Imaging 2.0. RSNA 2011 demonstrates the value of Imaging 2.0, validated by top clinicians throughout the year, and the promise to customers to create smarter integration and better patient satisfaction, while providing breakthrough value for their investments.